I am a senior lecturer, which roughly corresponds to a reader in British academic system, an assistant professor with tenure in American academic system, of Department of Computer Science, Faculty of Informatics, Shizuoka Institute of Science and Technology, which is located in about 200km (120mi.) west of Tokyo. I am also a visiting researcher at AIRC, AIST, Japan, and an ACT-I researcher. My research interests include natural language processing (NLP), especially in educational NLP using item response theory (IRT) and machine learning (ML). Previously, I was a researcher at the Artificial Intelligence Research Center (AIRC), National Institute of Advanced Industrial Science and Technology (AIST) in Tokyo, Japan. There, I studied natural language understanding. Before that, I was a project assistant professor at Graduate School of System Design, Tokyo Metropolitan University, a researcher at National Institute of Information and Communications Technology, a postdoc at National Institute of Informatics (JSPS PD, in Prof. Miyao group), in reverse chronological order. I obtained my Ph.D. (Information Science and Technology) at the University of Tokyo, supervised by Prof. Hiroshi Nakagawa, in September 2013. DBSJ Journal Paper Award 2016, The Database Society of Japan (DBSJ). (Co-authored student received) March, 2016. Student Presentation Award. The 8th Forum on Data Engineering and Information Management (DEIM 2016), The Database Society of Japan (DBSJ). (Co-authored student received) November, 2015. Student Incentive Award. The 162th SIG-Database Management System, Information Processing Society of Japan. September, 2015. Incentive Award. The 10th NLP Symposium for Young Researchers. Yo Ehara, Yukino Baba, Masao Utiyama, and Eiichiro Sumita. September, 2015. Excellent Paper Award. Multimedia, Distributed, Cooperative and Mobile Symposium (DICOMO 2015). DICOMO 2015 Program Committee, Information Processing Society of Japan. March, 2011. Student Incentive Award. SIG-Human Computer Interaction, Information Processing Society of Japan. Yo Ehara, Takashi Ninomiya, Hiroshi Nakagawa. A reading support system for English Wikipedia with prediction capability of the words unknown to the users (in Japanese). September, 2009. Incentive Award. (rate 8.3%). The 4th NLP Symposium for Young Researchers. Yo Ehara, Takashi Ninomiya, Hiroshi Nakagawa. Extracting language ability information from word-click logs in word-grossing system (in Japanese). JSPS KAKENHI, Young Scientists, April 2018 ~ March 2022 (Expected). JSPS KAKENHI, Young Scientists B, April 2015 ~ March 2018. Student Member of Editorial Board, June 2010 to September 2013. Japanese Society for Artificial Intelligence. Student association organizer, from April 2009 to March 2010. Speech, Language and Communications Research at the University of Tokyo (UT-SLC). Researcher April 2014 ~ August 2015. JSPS Research Fellow (PD) October 2013 ~ March 2014. 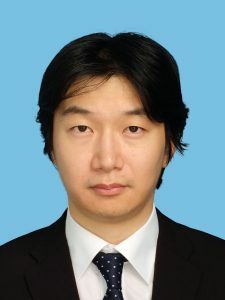 Host Researcher: Prof. Yusuke Miyao, National Institute of Informatics. JSPS Reserach Fellow (DC2) April 2012 ~ September 2013. Host Researcher: Prof. Hiroshi Nakagawa, The University of Tokyo. Rakuten Institute of Technology, Intern July 2010 ~ October 2010. Host Researcher: Prof. Satoshi Sekine, New York University / Rakuten. NEWikipedia (The system is temporarily unavailable. This system has no relation to the Wikimedia Foundation. If not working, please notify it to me.) Glosses the words you click, estimates your English ability from your click logs, and automatically glosses the words predicted to be unfamiliar to you when loading another page.